Sanuk was with me since Coron 2009. In fact, it has been with me ever since my VERY VERY FIRST Fashionista Commuter blog OOTD... in all its VGA, weird cropping, awkward pose, bad background glory. Haha! Today, Sanuk accompanies me on weekends, but most especially during my travels. 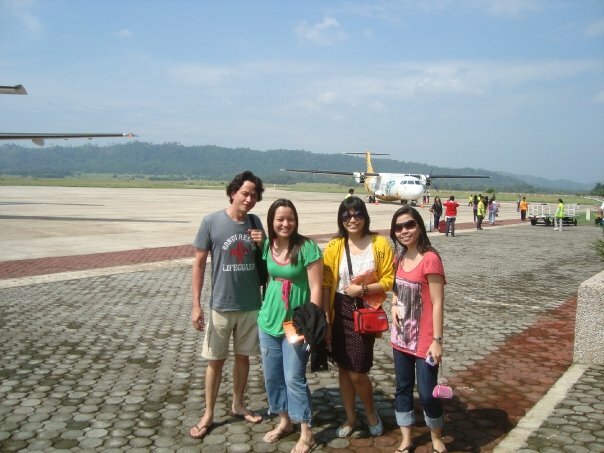 I wore a pair of neon slip-ons during my Singapore and Malaysia "Amazing Race". The trip was super on-the-go, all days were maximized, so wearing comfortable shoes was a must! These are my current Sanuk slip-ons. The black is my favorite, it goes well with almost everything. Aside from Sanuk's classic styles, they currently released several other looks to match every preference and lifestyle. Check out these selections for the ladies! A few weeks ago, Sanuk invited me and my friends to a "Comfort Takeover" event. We were treated to Hole in The Wall at the Century Mall, where I was able to try Scout's Honor's famous cookies (yummm! ), and grilled cheese sandwich from Mister Delicious. For more information and updates, follow Sanuk Philippines on FACEBOOK.